Nasi goreng is commonly known as the national dish of Indonesia. It is their own version of fried rice. Different countries have different recipes of making fried rice. Nasi goreng is best enjoyed garnished with other side salads. 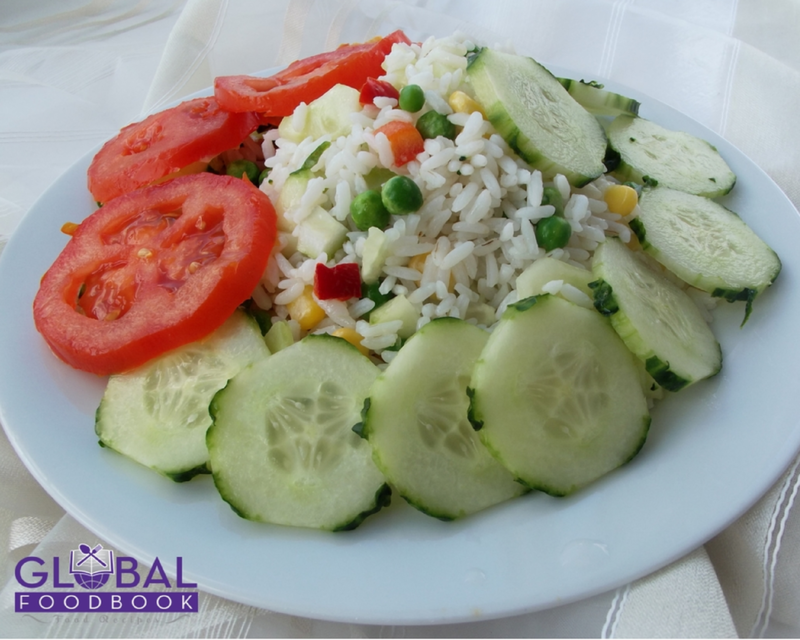 Try making your own version of Nasi goreng and share with globalfoodbook. Wash and cook rice in a salty boiling water until tender. Bring down from fire, drain and allow to cool down. Heat up vegetable oil in a saucepan, stir in onions, ginger, egg and garlic. Stir in rice, chilli bean sauce, oyster sauce and light dark soy sauce. Afterwards stir in sweetcorn, green peas and carrot. Add chicken broth, grinded pepper and salt to taste then simmer for 3mins. Bring down from fire and serve garnished with cucumber and tomato slices.